The advent of vaping continues to become more popular. The vape alternative to smoking allows users a world of flavors, different nicotine levels and a way to enjoy these with less tar and carcinogens than smoking. The legalization of Cannabis in both the Recreational THC form and the advent of its Hemp form of CBD is taking the World by storm. The number of new industries and users created in the cannabis industry is a worldwide phenomenon. When you look at the growth and benefits these two industries provide it seems only fitting that they would cross paths. This is exactly what has happened and the result has brought about the introduction of what many call pre-filled vape cartridges. These new “pre filled vape cartridges” are a blend of vape-able liquid combined with either a cannabis concentrate that contains THC, a cartridge that contains a CBD infused vape juice and you may even find some that contain both. The most likely place you will find these are in your local dispensary. The use of a vape pen to deliver either a THC infused e-juice or a vape juice enriched with CBD has some very distinct advantages over delivering these ingredients in other more traditional manners. The first and foremost traditional manner of ingesting cannabis is smoking. It is common knowledge that smoke carries tars and carcinogens into the lungs. The fact vapor is so much cleaner than smoke is one of the main reasons the vape industry has flourished in the manner it has. An aspect that is not commonly known is that vapor enters into the system of the user in the fastest manner of all delivery methods. The use of CBD in vape pens and cannabis is providing people who suffer from seizures the fastest form of intake to use medicinal marijuana. While the medical aspects of cannabis are beyond my scope the fact that vape provides such a quick way to deliver CBD, or THC is not in question. One of the biggest problems facing consumers who are looking to use pre-filled cartridges is they may not live near a dispensary that provides these unique cartridges and vape pens. The interstate laws concerning CBD and questions of quality can also make it tricky to obtain via online shopping. There is a product on the market now that is providing consumers an option to buying these pre-filled cartridges in dispensaries and online. The option does require some additional effort by the consumer but does offer many clear cut advantages. It is possible and actually quite easy to make your own pre-filled vape cartridges at home with either a THC rich blend, CBD or a blend of both. In order to do this there are a few things you will need. The process is not only fast and easy it has many clear advantages for the minute of work it takes to make. The fact that this process can be used with your choice of cannabis concentrate, CBD distillate or even combined gives you many choices in creating your personal blend. The choice of enjoying the natural flavor of the concentrate or making a tasty cartridge using one of the other 6 flavors allows you to enjoy great vaping flavor and variety in you vape. 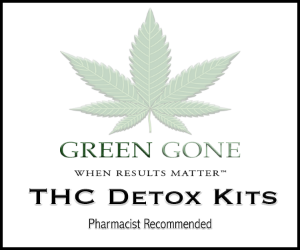 The strength of THC or CBD can also be regulated as you have control of the mixing process. Another advantage to making your own cartridges is one of economics. Pre-filled cartridges in dispensaries on average cost $35 often for .5ml of THC infused vape juice. You can often get a gram of wax or shatter for $35. Here is the difference. Combining the shatter with 2ml of Wax Liquidizer will produce enough THC infuse e juice to make 6 pre filled cartridges. The value of turning a $35 gram of shatter into $210 of THC infused vape juice may be as beneficial as the freedom of choice gained in creating your own vape cartridges. Mention you saw us on stuffstonerslike and use coupon code WAX for 10% off.